(Steve Cannon | AP Photo) Police investigators work the scene of a shooting, Friday, Nov. 2, 2018, in Tallahassee, Fla. A shooter killed one person and critically wounded four others at a yoga studio in Florida's capital before killing himself Friday, officials said. 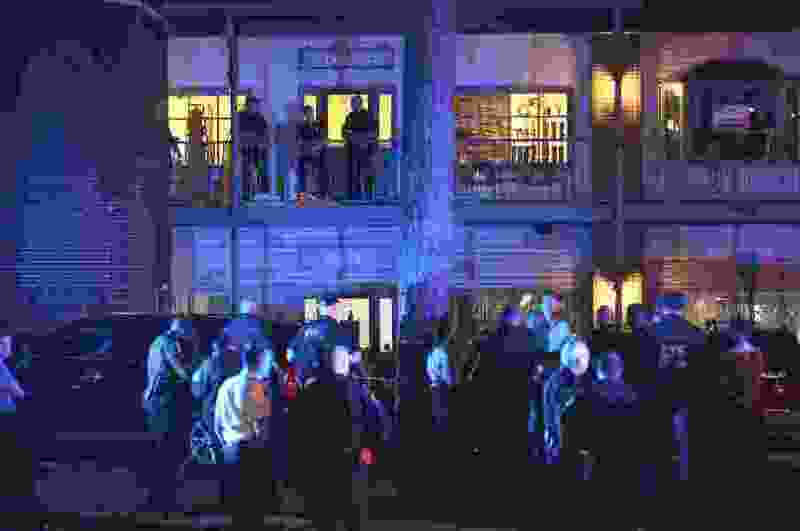 Tallahassee, Fla. • What was supposed to be a routine Friday night ritual of socializing, dining and exercising in an upscale shopping center a few miles from Florida’s Capitol turned into a chaotic scene after a gunman shot two women to death and wounded five other people at a yoga studio before killing himself. 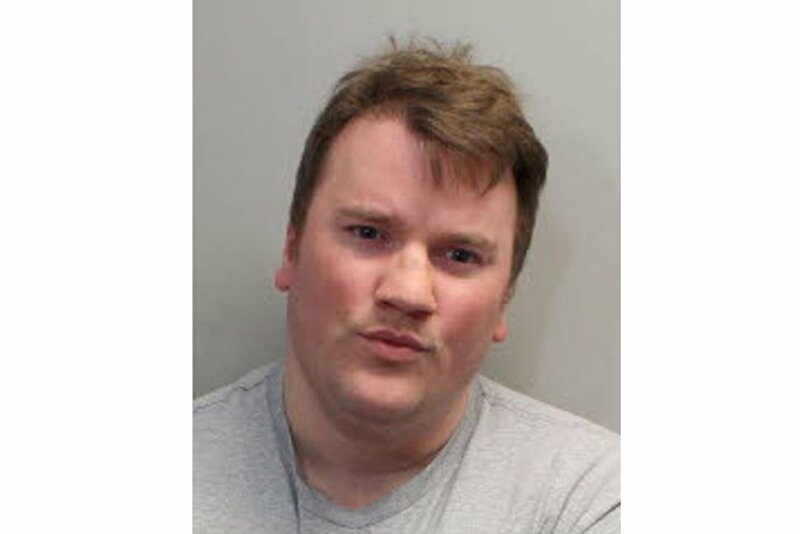 Tallahassee police say 40-year-old Scott Paul Beierle shot six people and pistol-whipped another after walking into the yoga studio that sits on the second floor of the small shopping plaza. Tallahassee Police Chief Michael DeLeo said some in the studio showed courage and tried to stop him. (Leon County Sheriff’s Office via AP) This undated photo provided by Leon County Sheriff’s Office shows Scott Paul Beierle. Two people were shot to death and five others wounded at a yoga studio in Tallahassee, Fla., by Beierle, a gunman who then killed himself, authorities said. The two slain Friday, Nov. 2, 2018, included a student and faculty member at Florida State University, according to university officials. Police responded within a few minutes, but by then Beirele had fatally shot himself, leaving police to search for a motive and a community to wonder what prompted the violence near the city's fashionable midtown neighborhoods. "It's a place that brings my joy and peace, and I think it's ruined," said Katie Bohnett, an instructor at the yoga studio who skipped her normal Friday practice to meet a friend for dinner. "This monster ruined it." Police said Beierle acted alone but they were still looking into what prompted the shooting. He had been in the military and was a graduate of nearby Florida State University, but was living in Deltona, a town in central Florida east of Orlando. Authorities in that county were searching his residence there. Witnesses told police that Beierle posed as a customer to gain entrance to the studio, then started shooting without warning. Police have not yet said what kind of gun he used. Bohnett said that those at the studio Friday were yoga devotees. She said she did not recognize Beierle. The two slain Friday were a student and faculty member at Florida State University, according to university officials. The department identified them as Dr. Nancy Van Vessem, 61, and Maura Binkley, 21. Online records show Binkley was from Atlanta. Police said two other victims were in stable condition, and three had been released from the hospital. Van Vessem was an internist who also served as chief medical director for Capital Health Plan, the area's leading health maintenance organization. "To lose one of our students and one of our faculty members in this tragic and violent way is just devastating to the Florida State University family. We feel this loss profoundly and we send our deepest sympathies to Maura's and Nancy's loved ones while we pray for the recovery of those who were injured," FSU President John Thrasher said in a statement. Court and FSU records show that Beierle had been previously arrested for grabbing women — and had once been banned from FSU's campus. Beierle was charged by police with battery in 2016 after he slapped and grabbed a woman's buttocks at an apartment complex pool. Records show that the charges were eventually dismissed after Beierle followed the conditions of a deferred prosecution agreement. Beierle was also charged with battery in 2012 for grabbing women's buttocks in a university campus dining hall. A FSU police report shows that Beierle told police he may have accidentally bumped into someone, but denied grabbing anyone. In 2014, Beierle was charged with trespassing at FSU. He had been seen following an FSU volleyball coach near the campus gym and was told that he was banned from campus. A month later police found him at a campus restaurant. The plaza where the shooting took place is home to popular restaurants, a jewelry store, a framing shop, a hair salon and other businesses. The people who came in were injured, including the bleeding man who was pistol-whipped while trying to stop the shooter. They told her the shooter kept coming in and out of the studio. When he loaded his gun, people started pounding the studio's windows to warn people. Both Gov. Rick Scott and Tallahassee Mayor Andrew Gillum, the Democratic nominee for governor, broke off from the campaign trail to return to Tallahassee. Scott and Gillum both visited gunshot victims, including one who had been shot nine times. Gillum said the two women he met "were in good spirits." Gillum also praised Scott, a Republican running for U.S. Senate, for his "care and consideration" in meeting with the victims. The two candidates resumed their schedule Saturday. Scott is expected to join President Donald Trump for a Saturday evening campaign rally.